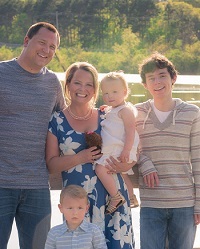 We talked with Jennifer Yarusso this month for a quick Q&A about health insurance and her job with i-Care Insurance. We love referring our clients to Jennifer who are in need of health insurance. Jennifer has taken great care of our clients that we have sent her way in the past. Read below to get some more info on her and i-Care Insurance! 1. Who are you and who do you work for? 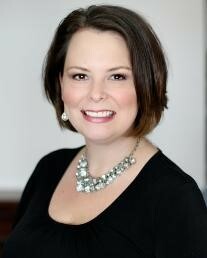 My name is Jennifer S. Yarusso and I am the President of i-Care Insurance Life and Health, located in Maplewood, MN. 2. What is your typical workday look like? My typical work day starts everyday being greeted by my lovely assistant, Ellen Mueller. I typically have appointments daily from 9am until 4pm. Our mission at i-Care is always, excellent customer service, so we encourage our clients to call us, if they need any assistance. So, I am servicing existing clients in between my appointments. Our ideal client would be anyone in need of some guidance or direction on their health insurance needs. We help Individuals/Families who have no health insurance, Individuals who are in between jobs, Self Employed, Early retirees, retirees, and Medicare age. 4. What are your business/core values? My business name says it all, i-Care Life and Health Insurance. This is my mission: To truly care for all who need caring for, in all possible ways that I am able to care for them. My focus is to keep the small, family feel to my business. I want my clients to be able to trust me with all of their insurance needs. I want to be there for them always. 5.What is something you think most people miss or don’t know about health insurance? Most people don’t understand their networks of doctors. Plans are now limiting their networks of doctors, so in and out of network benefits need to be understood by these individuals. Especially, our snow birders. 6. Do you have any online resources that you can provide to us and our readers to help them with some FAQs?